This post is about to face painting girl photo at the Maha Shivaratri festival. This photo is taken on the Shivaratri festival past year 2013. 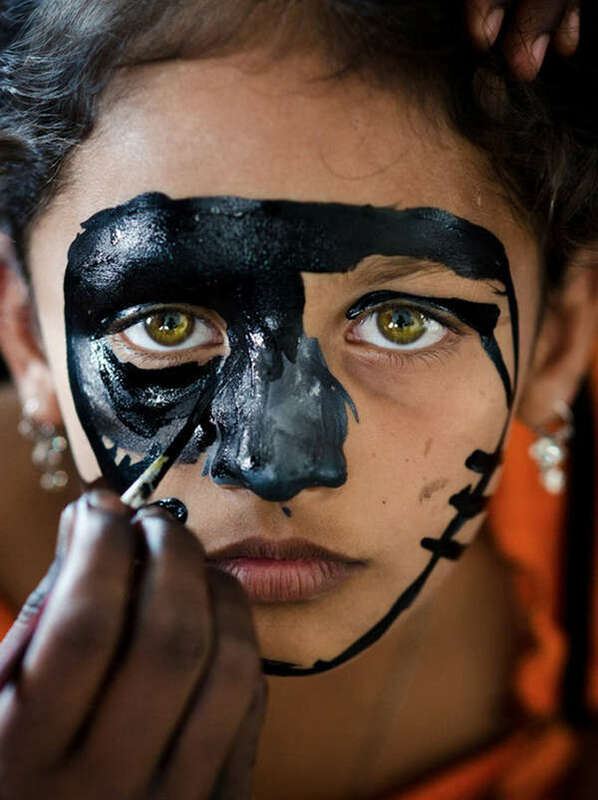 This phenomenal portrait of a girl having her face painted prior to the Maha Shivaratri festival in India. As we all know that the Shivaratri festival is an annual Hindu celebration in reverence of Lord Shiva. Maha Shivaratri Festival is the one of the greatest festival in Hindu religion. This festival is also called Night festival of Lord Shiva. Happy Shivaratri 2014. happy Maha Shivaratri 2014. Happy Shivaratri 2070 B.S. There are numerous traditions and customs related to Shivaratri Festival in Hinduism society. These tradition and customs can be found in Indian and Nepal and other Hindus country. worshipers of Lord Shiva follow all the tradition and customs are dutifully. Devotees observe strict fast in the Shivaratri festival in the honor of Lord Shiva. Some people that fruits and milk some do not consume even a drop of water. Shivaratri is considered especially auspicious for female either she is married or unmarried. Married women pray for the well being of their husbands. Unmarried women pray for a husband like Lord Shiva, who is regarded as the ideal husband. Here is another photo of Shivaratri girl having colouring in her face. If you have any creative article related Shivaratri, we’d like request you to submit your post in +this blog. You are heartily welcome to submit your article related to Shivaratri SMS, messages, wishes for this category. Besides this category, you can submit your post on other categories as well. We hope you enjoy this post about face painting girl photo at the Maha Shivaratri festival.